Here at Travel Insurance Direct, we’re always working hard to give you more. So, how does a coveted list of the top places to visit in 2019 sound? That’s right, the experts at Lonely Planet have recently unveiled their must-visit holiday destinations for the new year. Without further ado, here are some of the top places you should have on your radar for 2019. Taking the top spot in Lonely Planet’s ‘Best Of’ is Sri Lanka. This South Asian country lies just below India, but by no means does it sit in its shadow. Each year, the country welcomes more and more tourists, and in 2017, more than 2.1 million foreign visitors chose to explore the island (Sri Lanka Tourism Development Authority data). 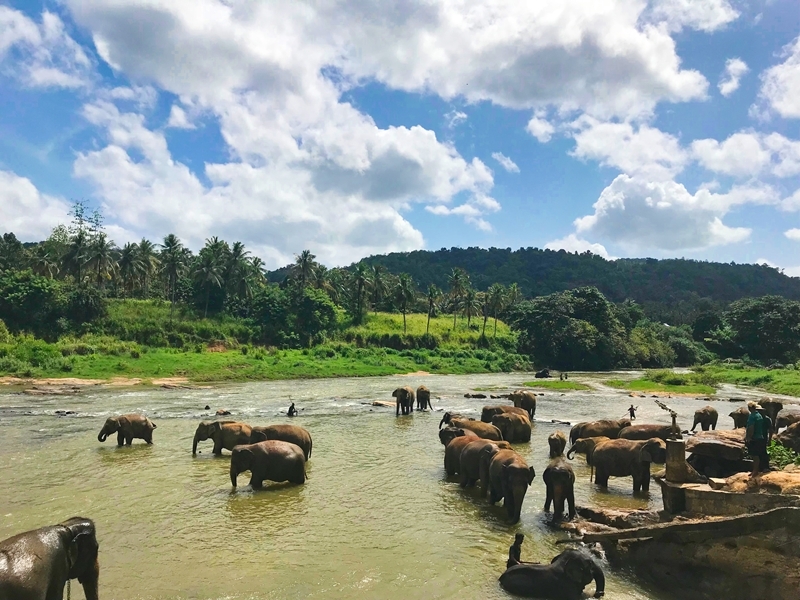 Experts are predicting that 2019 will welcome even more travelers due to Sri Lanka’s undeniable allure. Incredible wildlife encounters: Sri Lanka is famed for its opportunities to get up close with nature’s most amazing animals. Safaris are a must-do experience here – especially at Kaudulla National Park. Ride alongside the endangered Sri Lankan elephant, spot sleepy sloths in trees and prowling leopards in the long grass. Beautiful beaches: From the east to west of the island, you’re never too far from a stunning stretch of sand. However, off-the-beaten track towards the south lies some of the most unspoilt and uncrowded beaches in areas such as Galle. Vibrant culture: The colourful temples that pop up around the island give a glimpse into the rich culture that Sri Lanka still embodies to this day. Be sure to learn more about this fascinating amalgamation of traditions and cultures as you travel. Is Sri Lanka high on your holiday bucket list? After years of being wrongfully labelled as a conflict-ridden country, Jordan is finally shedding the stereotypes and emerging as the beautiful nation it really is. Of the many draw cards to this arid part of the world lies in the ancient city of Petra. Carved into pastel pink and orange rock are the monumental remains of caves, temples and tombs which were once a thriving trade centre and capital of the Nabataean Empire. However, after a large earthquake and years of shifting sands, the once 30,000 inhabitant-strong city was left to sink into the surrounding rock formations. However, the beauty of Petra has never diminished. In fact, the lost city was recently named one of the New Wonders of the World due to its rose-tinted landscapes. Sticking to the dry desert theme, why not swap traditional transport for a camel-back ride through the dunes? There are many hidden routes that make for an afternoon of jiggly fun! At night, the sands transform into the perfect setting to sit back and watch the stars. With no light pollution to impede your view, look out for the North star and Orion’s Belt. 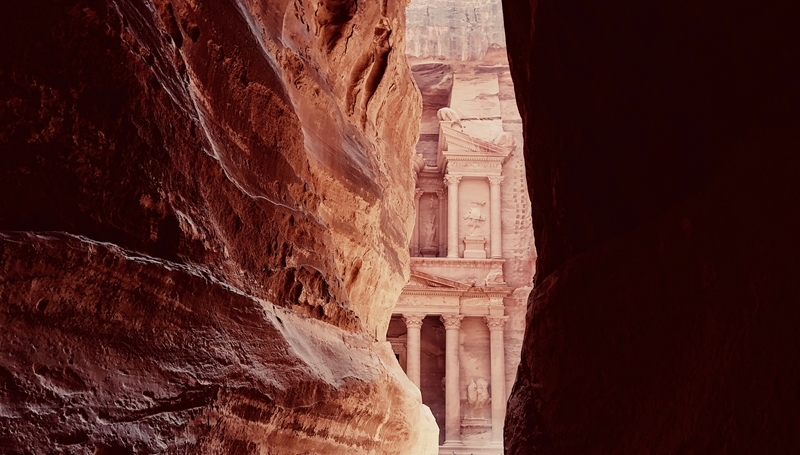 Uncover the ancient world of Petra when visiting Jordan. If you’re looking to go where few others dare to or have even heard of, you’re in luck. The two-island nation of São Tomé & Príncipe is perfect for any intrepid traveler hungry for off-the-beaten-track adventure. This tucked away area can be found floating in the Gulf of Guinea, close to the equator. For this reason, you can expect consistently high temperatures all year round. The island’s lush jungle and soaring primordial rock spires create landscapes akin to a scene straight from Jurassic Park. As such, there are only 7,000 residents on Principe island! Perhaps it’s the mysterious and untamed wilderness that attracts the boldest of explorers, and for those prepared to take the leap, the reward of unspoilt paradise awaits. The two main beaches of both islands are perfect for catching a few rays and seeing some too! Grab a snorkel and flippers, and get ready to witness a world of adventure beneath the waves. When diving deep, see passing turtles, stingrays and schools of fish, before lounging on the pristine shores. There are also opportunities for jungle exploration, bird watching and soaking up culture on São Tomé & Príncipe. No matter where you’re gearing up to visit in 2019, stay protected at all costs with Travel Insurance Direct. Get in touch today to find out how our policies are the perfect addition to your trip.